Bookings can be cancelled without any charge up to 48hs before thedate of arrival. If not,the hostel reserves the right to charge the fullamount of your stay. Paymentsmust be done at the moment of the check in. We offer a 10% discount on cash payment for direct bookings! .This rates include 21% VAT. Please note the based on local taxlaws, foreigners who pay with a foreign credit or debit card are exempt from21% VAT additional fee in accommodation when presenting a foreign passport or aforeign ID. Pleasenote that all payments with card have a surcharge of 10% in case of credit, 5%for debit. Advise us about your bed preference (double or twin) when booking a private room. We dont accept underage kids. In case you made the reservation without knowing this, the parents must take care f their kids and will be responsible for the damages that they can cause. Sabatico Hostel is not wheelchair accesible. Sabatico hostel will not be hold responsible for your missing items. 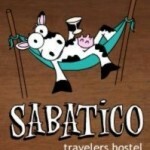 Sabatico Travelers Hostel is a place for experienced travelers that know what they are looking for. Gourmet breakfast, fast wi-fi all around the hostel, bilingual staff, fully equipped kitchen, comfortable beds, a lovely roof top and dayly activities. Why choose Sabatico: - It's a medium-sized hostel run by its owners that will guarantee you an unique experience. -its a hostel designed by and for travelers with a staff that will give you all the information and recomendations that only a local can give you. -because its location allowds you to easily move to any place in town. -because your security is our priority. Cctv, key card acces, lockers, etc -because it’s a clean place. Rooms are cleaned every day. Including dorms! -because it’s the ideal place for people that like to party, but also enjoy a good nights sleep -because we have the best breakfast in town: Cofee, tea ,Mate, Milk, Croisant, bread, butter, jam, dulce de leche, orange juice, variety of cereals, eggs, and a different special for each day of the week. But overall, we´re your best bet because it's our main concern to offer everything you may need to fully enjoy your stay in BA and make it the best time you have ever had. 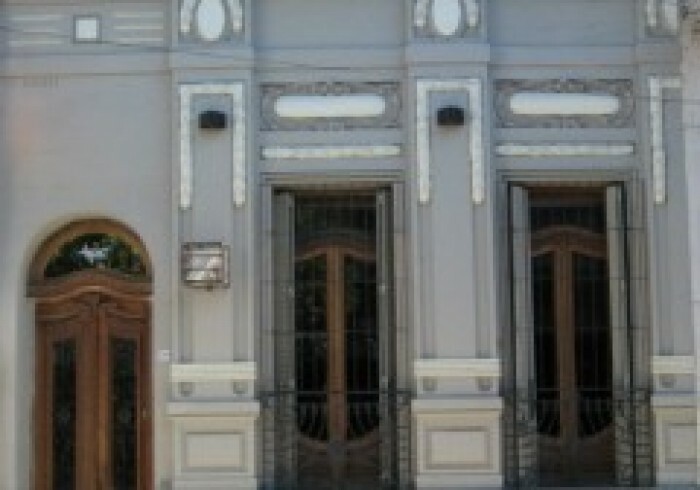 Sabatico is one of the most popular spots in Buenos Aires. Come and see it for yourself! History: It's understood as a sabbatical a period of time during which a person frees itself voluntarily from his working or academic activities with the purpose of devoting to personal interests as traveling , resting, enjoying the family or developing a personal activity. …Cause its time and you deserve it… Leave everything behind and come to Sabatico!. The price is without TAX.